If you like the idea of a fruity fudgy little chocolate cake then these mini persimmon chocolate cakes may be for you. They’re made with milk chocolate so as not to overwhelm the fragrant mango-like notes of the persimmon. But best of all, they’re finished with a white chocolate mascarpone topping. The nights are drawing in, it’s cold, it’s damp, it’s dreary and it’s November. To defy this and to raise much needed funds, Cancer Research UK has a new initiative for this very month of November – do The In Thing and have a great night in with the girls. There are plenty of ideas for hosting a great night in with friends, colleagues and neighbours: embarrass yourself with karaoke, watch a film, feast your way through a dinner party or just have a good old chin wag. More ideas can be found on The In Thing web pages. Cancer is a pernicious and devastating disease and I doubt there is a single family who has not been touched by cancer in some way or other. Cancer Research UK is the world’s leading cancer charity dedicated to saving lives through research and it is funded entirely by the public. Raising money for a worthwhile cause and having fun whilst you’re can be a win-win situation. Oh and by the way, there is still time to take part. A games night. 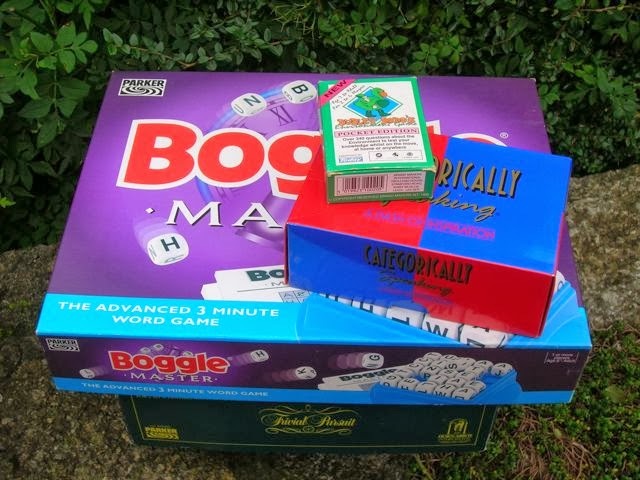 I love a good games night but haven’t had one of those in a very long time. Time to dust off that cupboard full of games. What fun. No night in is complete without some sort of food and drink, however. Snacks and gaming are a natural combination. Olives, nibbles and some chocolate cake! 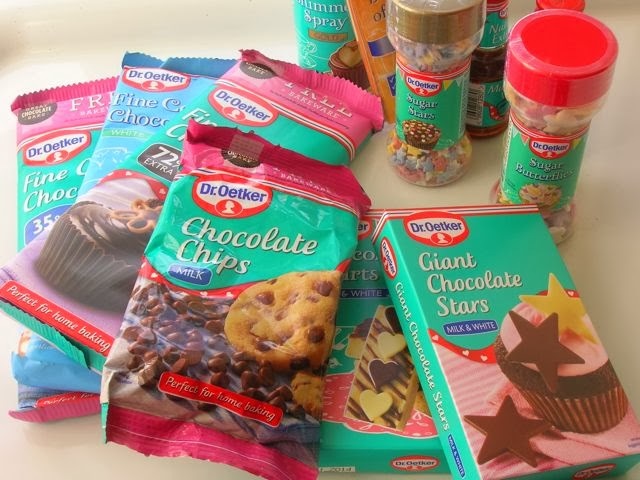 I was sent some Dr Oetker goodies to help me on my way. Dark chocolate, milk chocolate and white chocolate were included along with some chocolate hearts; I was going to use them all. Still experimenting with persimmons, I wanted to try this newly-discovered fruit in cake form. With its sweet mango-like flavour, I thought the persimmon would be best paired with milk chocolate rather than dark. I modelled the recipe on my rhubarb muffins and then took it up a notch by adding icing. For this, I envisaged a mascarpone and vanilla white chocolate ganache using the vanilla paste I recently reviewed. These mini persimmon chocolate cakes had a pleasant, fudgy, pudding-like consistency. In fact, they tasted a bit like fudge too. Put another way, they tasted grand: sweet and fruity with the aforementioned fudgy notes, which I guess came from the chocolate. And the mascarpone and white chocolate topping was equally grand, with those tell-tale flecks of fragrant vanilla which combined splendidly with the cake beneath. I was glad I’d opted for mini cakes as these might have been a bit too rich for a large cupcake, plus you can have a second one without feeling too guilty. For some real indulgence, I also made a chocolate Amaretto biscuit cake which will feature soon in an upcoming post. Let’s just say it’s good. I’m submitting these mini persimmon chocolate cakes to Let’s Party, a new blogging challenge from lovely Alida of My Little Italian Kitchen. And as this was a bit of a Bake Fest, I’m submitting this to the challenge of the same name hosted over at Cook’s Joy. Thanks for visiting Tin and Thyme. 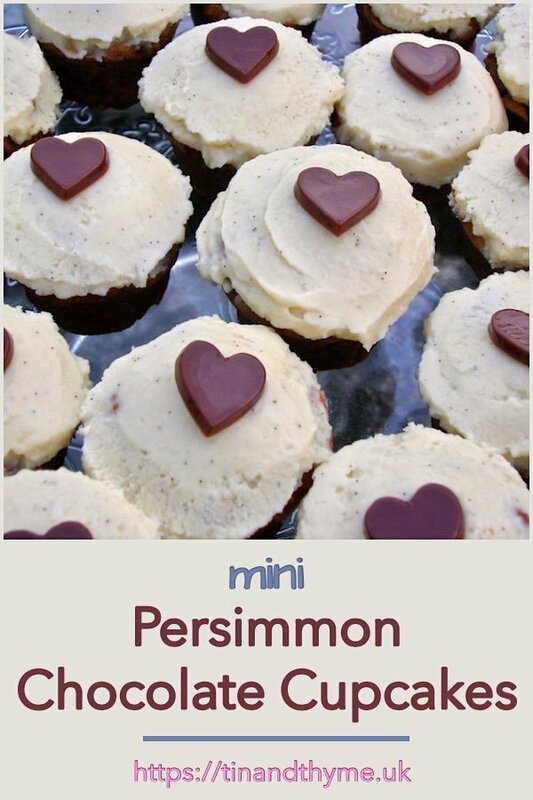 If you make these mini persimmon chocolate cakes, I’d love to hear about it in the comments below or via social media. Do share photos on your preferred social media site and use the hashtag #tinandthyme, so I can spot them. For more delicious and nutritious recipes, follow me on Twitter, Facebook, Instagram or Pinterest. Mini Persimmon Chocolate Cakes. PIN IT. 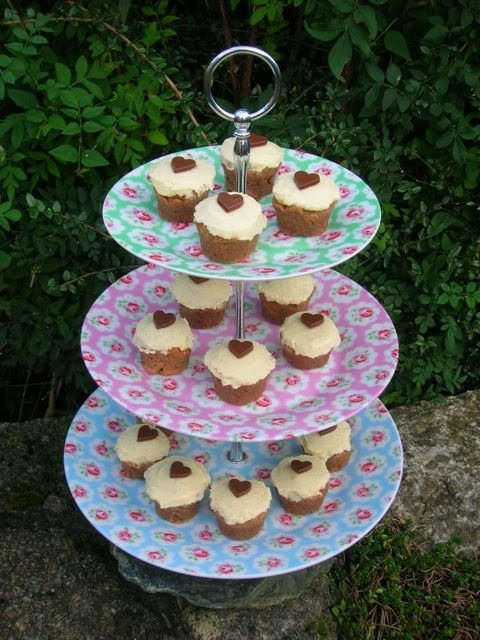 Milk chocolate and persimmon cakes topped with a vanilla white chocolate and mascarpone topping. Cream the butter and sugar together until very pale in colour and fluffy in texture. Beat in the vanilla extract and chocolate. Sieve in the flour and stir in alternately with the yogurt. Cut the persimmon in half and scoop out the flesh. Stir into the cake batter. Divide the mixture between two 12 hole mini muffin tins or cases. Bake at 180°C for 15-20 minutes, when the cakes should be risen and a skewer inserted comes out clean. Turn out onto a wire rack to cool. Melt the white chocolate in a bowl over hot water. Stir the vanilla paste into the mascarpone, then mix in the chocolate. 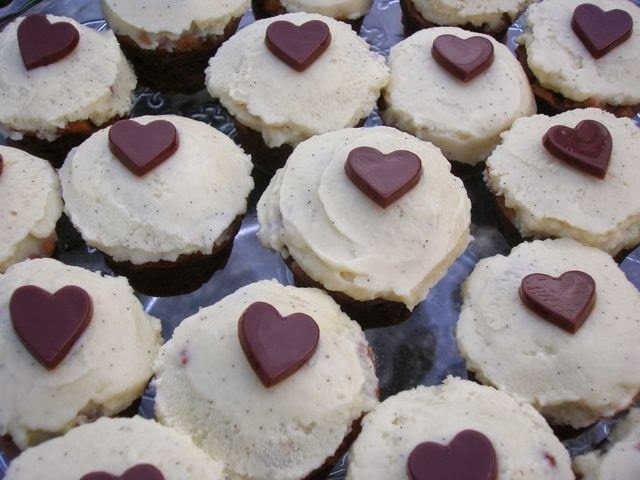 Spread the topping over the cakes and decorate as you wish (I used chocolate hearts). Finally found a recipe with persimmon. Such a beautiful fruit that pairs so well with chocolate. Thanks for visiting and commenting Amie. This is the second recipe I’ve come up with. Both were good and I’m not sure which is my favourite. 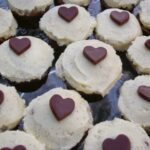 games night with cupcakes… could there be anything better… I doubt it!… love those cupcakes, still not crazy about the persimmon but i’m prepared to give them a go just for you! I love these chocolate treats. You have been very inventive here! I grew up with Persimmons (they are so addictive!) but I have never managed to make a proper cake/dessert with them. I love what you have done here. They are perfect for entertaining! Love persimmons! Those cupcakes are so beautiful. Love Dr. Oetker’s products. Thanks Angie. These persimmons have opened up a whole new world to me. Thanks David. I’m a sucker for biscuit cakes, so try not to make them too often. This one was up there with the best. Sorry Anne, only just spotted this. Am intrigued by your persimmon upside down cake – wow!